Halloween comes early in the fall. Some kids are making quick progress. Some are struggling with the most basic of basics. For many, the Halloween recital will be their first performing experience. Ghosts on Halloween from Piano Town Primer Halloween. Beginning students can acquire new skills quickly. Let's say that your student is playing a simple, eight measure accompanied piece like this piece, Ghosts on Halloween. What can you do if the recital is too close to change the piece but the student needs something more substantial? Play the last two measures of the accompaniment as an introduction. Learning to listen for the start of the piece is a great skill that takes concentration. It will feel challenging to the student. Add a repeat sign and play the piece twice as written. Add a repeat sign and have the student move up an octave for the repeat. Add extra notes to make a “fancy” ending. This could be a child playing a very high note or something silly like the student reaching over the teacher to play the lowest note on the piano. (They could even get off the bench and run down to the low end of the piano for this particular A minor piece.) They could yell "Boo!" There’s no reason not to use both your imagination and your student’s to make the piece longer and more interesting. What can you do when the Halloween recital is looming and the piece still has some rocky moments? This is why God invented Post-it Notes. Simply omit the problematic measures. Make judicious edits and let the student off the hook. In my studio this usually happens in an Intermediate piece that has a measure or two that's harder than the rest of the piece. Cover up the parts you want the child to skip and enjoy the recital. No one wants to hear a student struggle through the three measures they can’t play even if they are dressed as a vampire. Omitting them is the kindest thing for everyone concerned. I say this as a composer. If your student is having a rough time with something I wrote, please adjust it to be more appropriate for the student at the time they’re playing it. I can't speak for all the other living composers, but I bet they'd be just fine with a little judicious editing. The dead ones are, well, dead. Assigning repertoire is a guessing game. Will she like it? Will it take her the right amount of time to learn and polish before the performance? Will she still like it when it's finally learned? Sometimes you’ll nail it. Sometimes you’ll find the perfect piece, assign it at the ideal time and get a dream performance. But if your Halloween recital is looming and you need permission to do some adjusting, you certainly have mine. 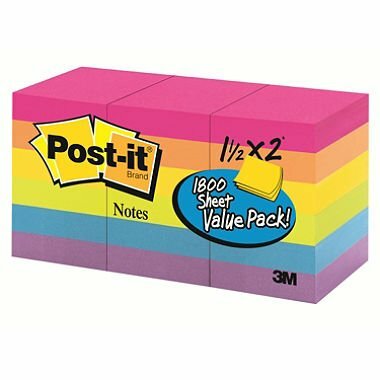 Need to buy some post-it notes or improvise an ending? Good luck!